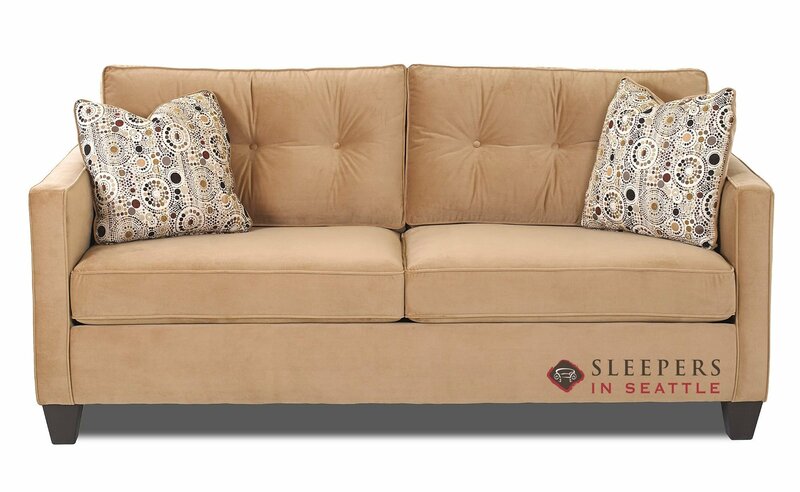 The Bristol Queen Sleeper Sofa by Savvy provides the perfect mix of modern sensibilities and traditional refinement. Contrasting piping, tufted cushions and a touch of contemporary simplicity give the Bristol a uniquely compelling look. 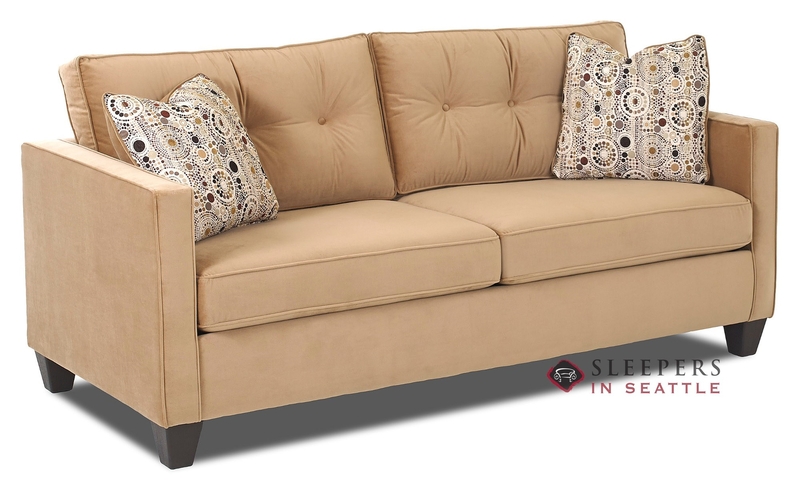 Like all of our Savvy models, the Bristol refuses to sacrifice comfort for style, plush cushions ensure an enjoyable seating experience. 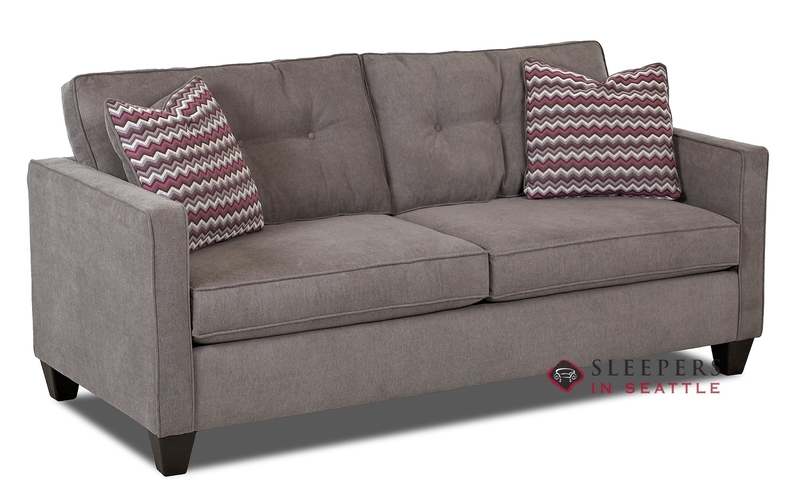 The sleeping experience is equally desirable, as our top of the line queen sofa bed offers ample room for two happy guests. 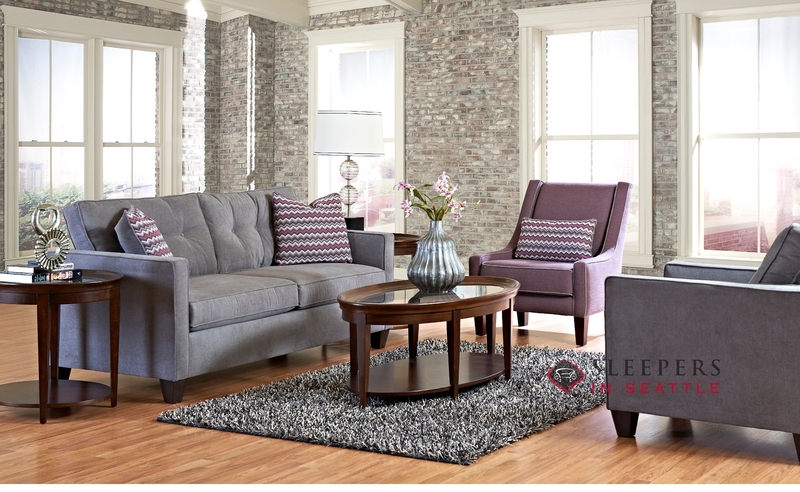 Customize your Bristol in our Design Center by choosing your favorite upholstery from our many fabric options. I just received my Bristol last week. It's everything I hoped it would be. 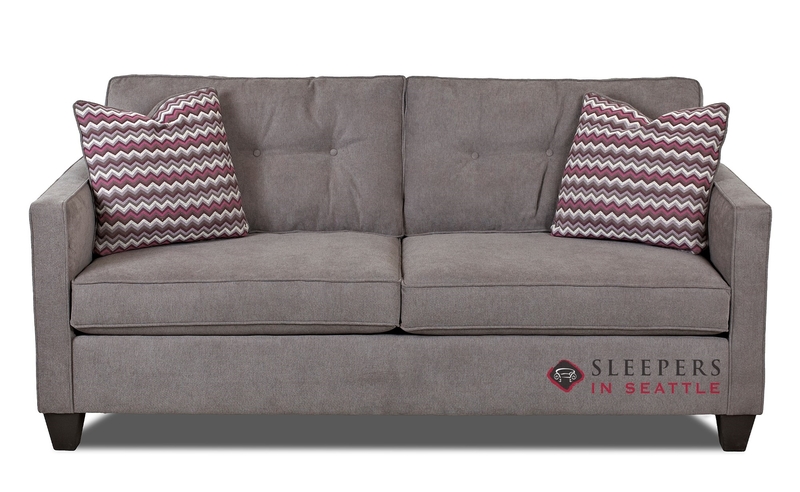 The tufted cushion and the straight back give the sofa a really unique transitional. Pulling out the sleeper for the first time, I realized that the sofa really was made in America. It's a nice sturdy piece that I won't have to replace every couple of years like the Ikea futons I've always bought. Really digging this sofa. It's got a cute old fashioned thing going on, yet it's still pretty comfy. When you take into account that it's got a top of the line sleeper in there, it's actually a pretty great deal. You'd have trouble finding a comparable piece for less. I was initially delighted to see that this piece was made in America, and now that I have the couch, the craftsmanship is evident. I'll be back to Sleepers in Seattle in the future. I'm not sure why you named this cute little couch after a boring place like Bristol. Regardless, this ended up being a great addition to the decor in our TV room. Also, I can't say enough about the sleeper mattress. Our previous sleeper was a piece of junk compared to this one. Our guests owe you a thank you. 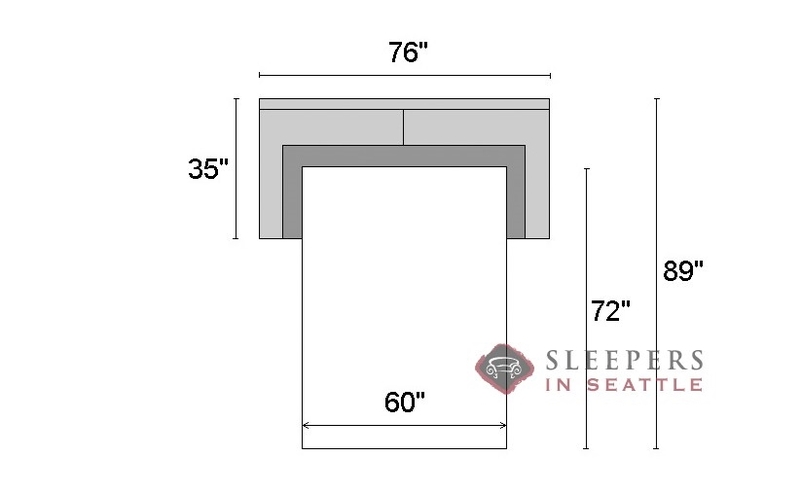 does the Bristol sleeper sofa and love seat come assembled? Yes, absolutely. The Bristol Loveseat and the Sleeper Sofa both come fully assembled. The top of the bed sits about 23" from the ground when opened. 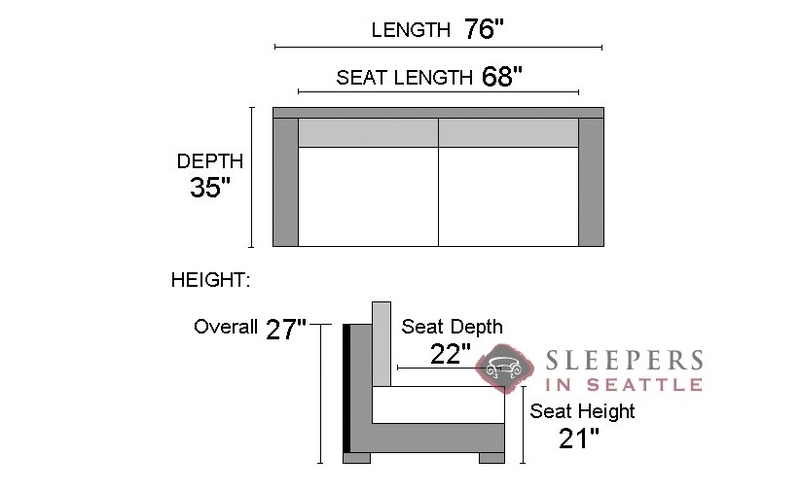 Are the legs of this sofa removable so that it could fit through a 29 inch doorway? or does it come needing assembly? Yes, absolutely, the feet are very easily unscrewed to allow for this delivery. Otherwise, no assembly is necessary. Are the back and seat cushions removable? Yes, both the seat and back cushions are loose, and can be reversed. Do you have plans to make it in a full-size (double)? 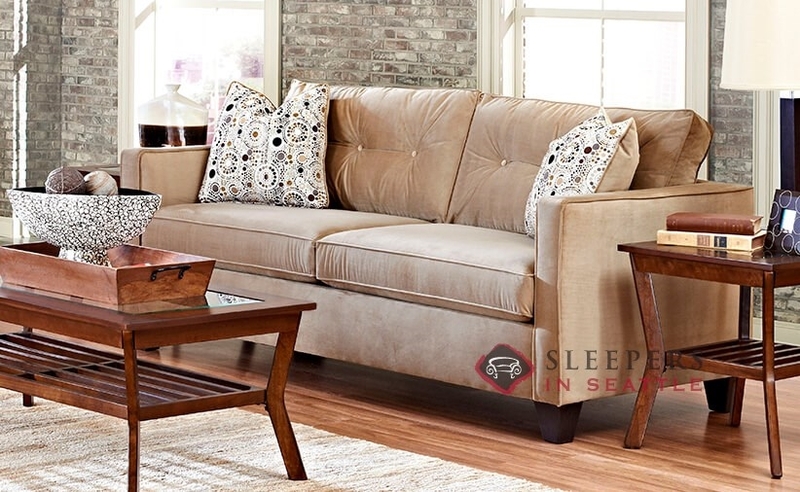 I have a small study, and would like a traditional looking sofa bed. This is perfect, but a bit larger. We do not have plans to make this particular style in the Full size, but there is a wide range of Full Sleepers with Straight Arms available at all times!